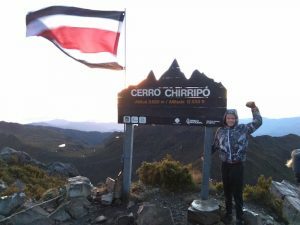 After living almost 15 years in beautiful Costa Rica and knowing the country from east to west and north to south we just want to share what would be our perfect round trip in Costa Rica. That does not mean it will be yours, but just see if it fits you. Thank you for reading it anyway. Day 01 – Alajuela. Arrive at SJO in the morning and then rent a car and start moving. However, if you arrive in the afternoon or evening look for a hotel in Alajuela. It is just to take a shower, relax and sleep. Alajuela is right next to the airport and do not go all the way to San Jose. That is too far out and you are wasting valuable time. Day 02 – Cahuita and Puerto Viejo de Limón. Pick-up your 4×4 rental car, go and relax. Day 03 – Cahuita and Puerto Viejo de Limón. Parque Nacional Cahuita – relax. Day 04 – Tortuguero. Drive to Cariari and La Pavona take a super chill boat ride through the swamps and check out the turtles and enjoy nature. Day 05 – San Carlos. Take the first boat back to La Pavona and drive to Catarata Del Toro and Blue Falls of Costa Rica. Note that they are open Monday to Saturday and Sunday closed. Do the tours and sleep in the Bajos Del Toro area or drive further to La Marina (check out the zoo) and book a room in hotel Termales Del Bosque. They have really cool hots-springs in the jungle. Day 06 – La Fortuna. Do not forget to check out Ecozoo in El Castillo. By the way, they offer also rooms. Day 07 – Monteverde. 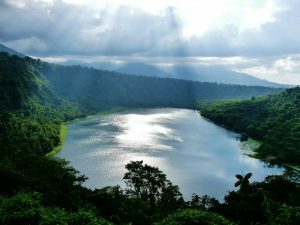 Drive around the lake to Monteverde. Or if it is possible, via the shortcut in El Castillo. Day 08 – Rincón de la Vieja. 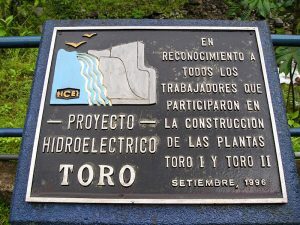 Vía Interamericana to Rincón de la Vieja. You will find an active volcano, mud baths a blue river and nice views. Day 09 – Playa Coco. Diving and relax. Day 10 – Playa Samara. Surfing and relax. Day 11 – Montezuma. Drive through one of the 5 Blue Zone’s the world has and check also ‘Cabo Blanco’. Day 12 – Uvita. Take the ferry and drive via Jaco beach to Uvita. Just take a quick look in Quepos and move on. If you are lucky you can spot wales. Relax. Day 13 – Drake Bay and Corcovado. Stay in Hotel Violin ask for their tours and relax. Day 14 – Drake Bay and Corcovado. Stay in Hotel Violin ask for their tours and relax. Day 15 – Pavones. Best surf in the world and relax. Day 16 – Pavones. Best surf in the world and relax. Day 17 – Pérez Zeledón. Drive first to Paso Canoas and see the hustle, then through Ciudad Neilly to San Vito to Pérez Zeledón. 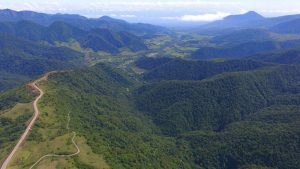 Beautiful views from the Talamanca mountain range and visit some Indian reserves. Day 18 – Chirripó. Only for experienced hikers, need to book upfront see: www.sinac and www.chirripo.org. Day 19 – Chirripó. Only for experienced hikers, need to book upfront see: www.sinac and www.chirripo.org. 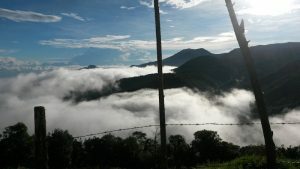 Day 20 – Turrialba. Volcano and relax. Day 21 – Alajuela. On the way back to your hotel in Alajuela you can visit San José. Calculate with an average of 60 kilometers an hour. Do not be afraid to drive in the dark, it is not that difficult. Besides that, with above schedule it will not be needed. For the most adventures ones think about renting a 4×4 camper with Nomad America! That is really cool and highly recommended.